You're. Come on. It is not hard. YOU ARE. Christ! Yes I realise that those "sentences" are a blatant abuse of the English language but wotevva. Ok seriously honest to god i just rolled on the floor laughing tears. The pic or why i laughed? 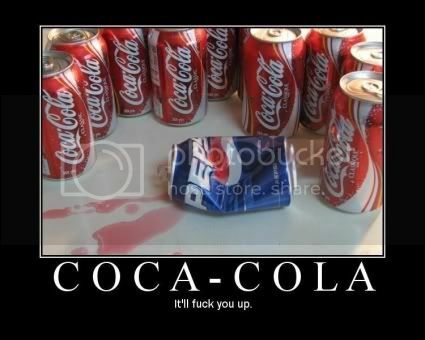 1.The cokes are ganna kill you next. 2.I don't know why i laughed really.I guess since its not the first time hes complained it just made me laugh.